The Invictus Greater New York City Foundation, Inc. (IGNYCF) is a New York Domestic 501 (c)(3) Corporation. The Foundation’s goal is to provide educational services and support to charitable organizations in New York City. 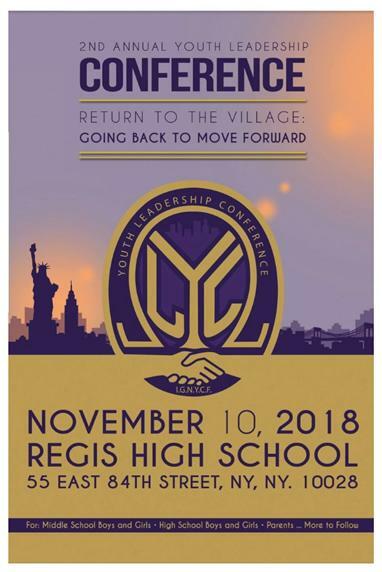 We are seeking your support in sponsoring our inaugural Youth Leadership Conference at New York University. At risk youth in public schools, face obstacles that challenge their abilities to successfully transition through high school and beyond. This concern is particularly dire for youth from underperforming schools in low-resourced New York City communities. There is a strong association between low education and income, and poor health. Access and retention to quality education, health services, and socioeconomic status have a major influence on young people quality of life across their lifespan. IGNYCF seeks to support a community where our youth strive to achieve health and wellness, education, economic, social, and political empowerment based on the knowledge that they control their future. To help support youth decision-making capacity for personal accountability and responsibility, IGNYCF will bring together various members of Education, Business, Health and Medicine, Law, Government, and Social communities to support conference agenda for both youth and their caregivers. 1.To provide culturally relevant annual YLC and Mentorship Program for at-risk multicultural youth and their caregivers from low-resource NYC communities. 2. Promote enhanced communication and support between youth and parents and community at large for positive youth development. 3. Create a community pipeline between colleges and at-risk youth and their communities. All proceeds will go to IGNYCF to support conference activities. All donations are tax deductible Tax ID#: 81-2128867.